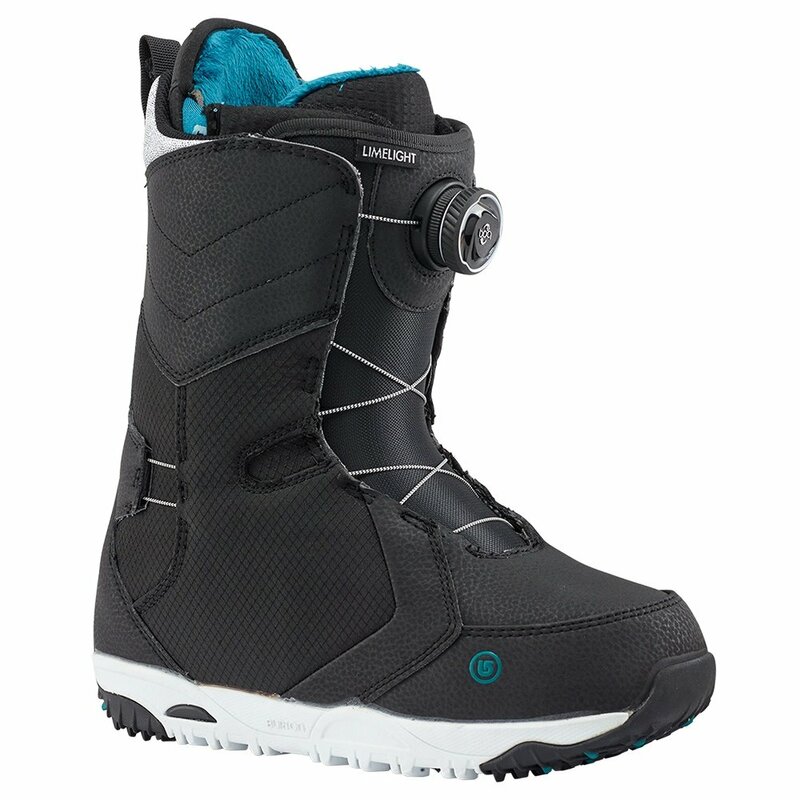 Snowboarding is unquestionably hard, but getting ready to snowboard can be pretty easy if you've got the Burton Limelight Boa Snowboard Boots on your feet. They've got a Boa Closure System that tightens three distinct regions of the boot thanks to Lockdown Tech that focuses hold where you need it most. Which means you'll quickly be anchored into the Imprint 2 Liner that custom molds to your foot for unbeatable support and comfort. And while you're out riding, the Plush Cuff 1.0 will conform more naturally to your calves for improved comfort while the Thinsulate insulation and Sleeping Bag Reflective Foil make sure your toes stay toasty no matter how cold it gets.